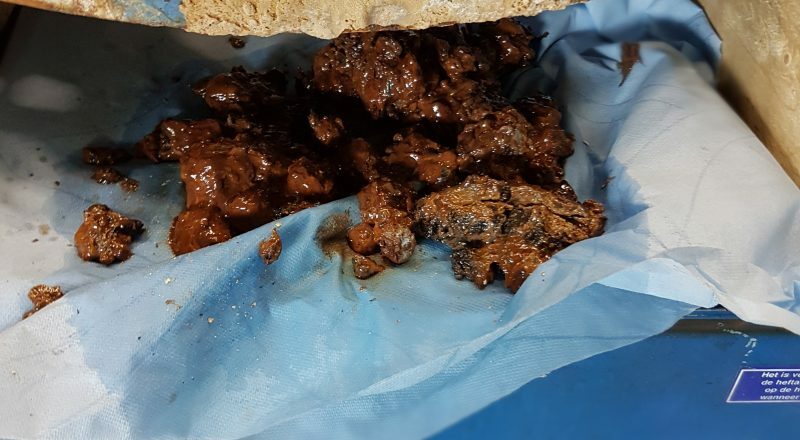 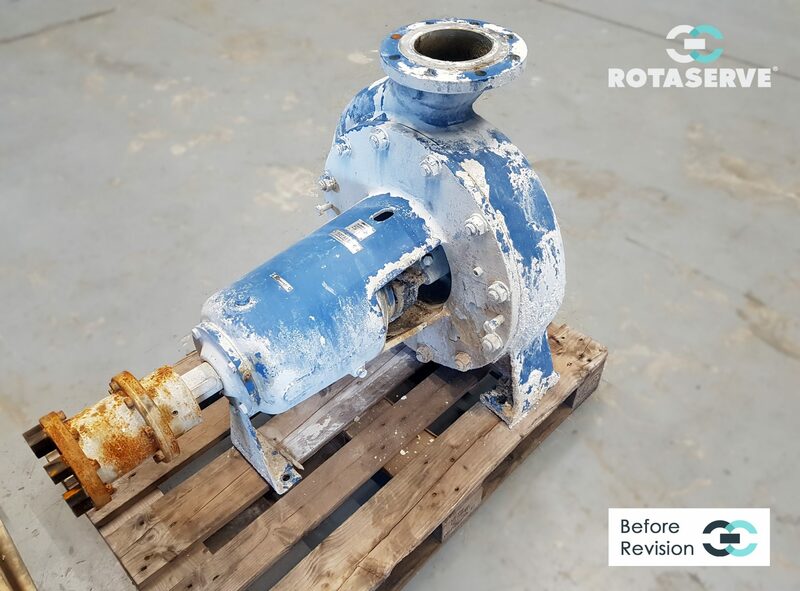 We'll help you find a Rotaserve solution that's right for you! 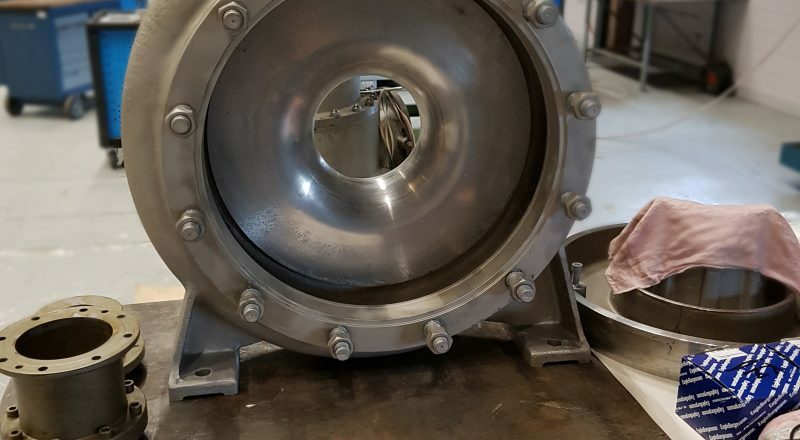 The pumped fluid is Alkali, a liquid that is used for flue gas scrubber purposes in the glass production industry. 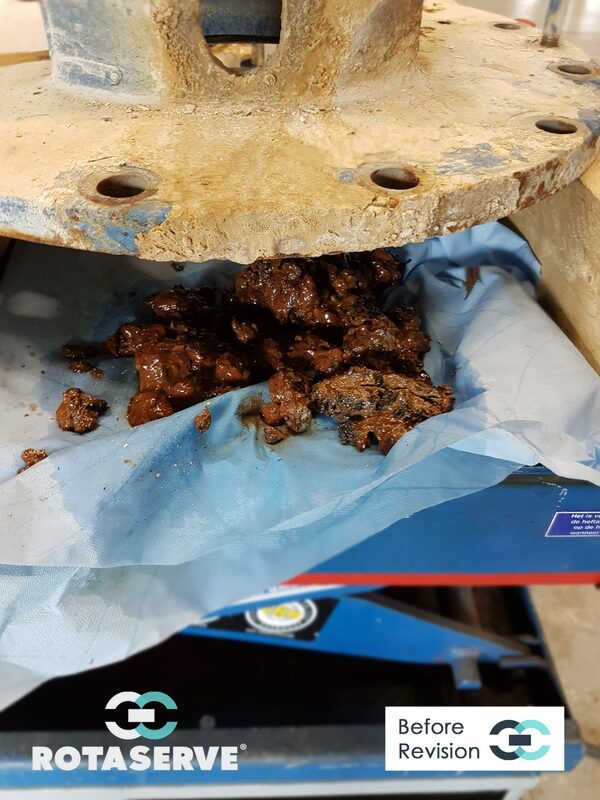 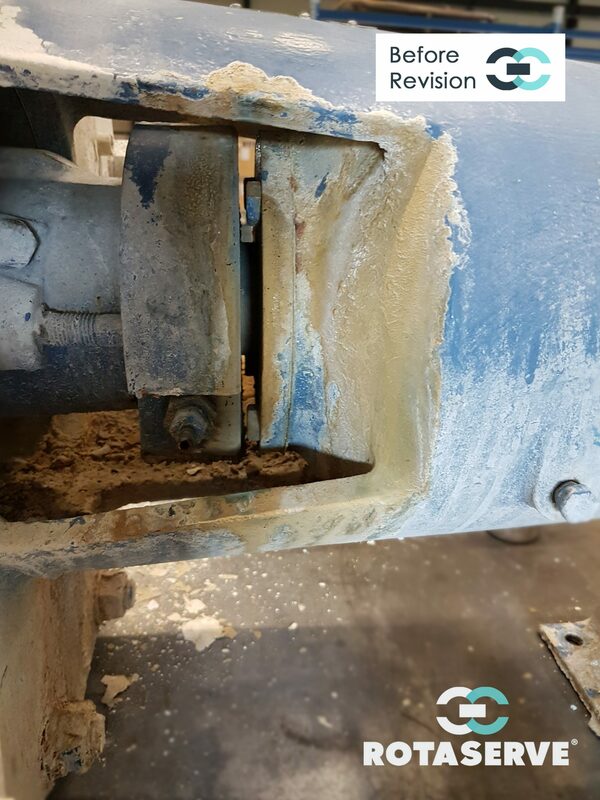 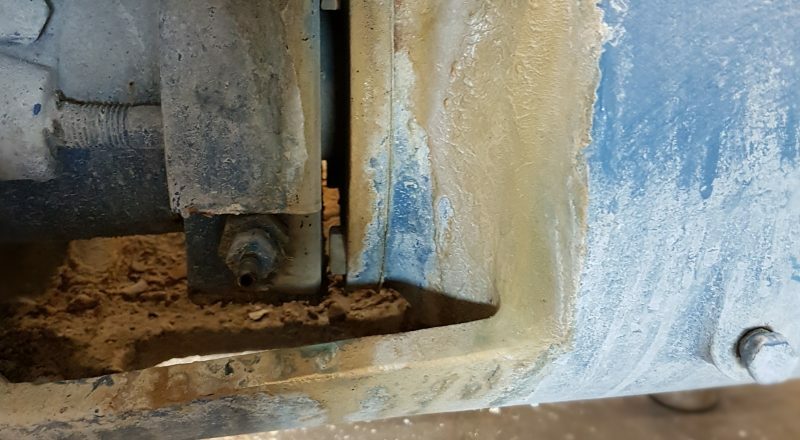 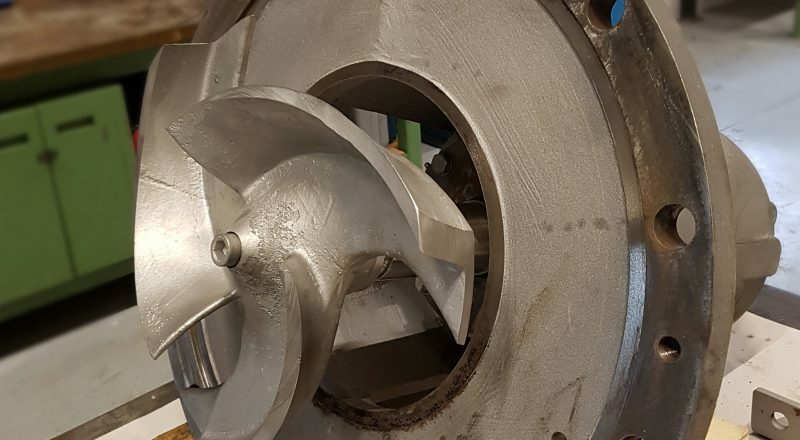 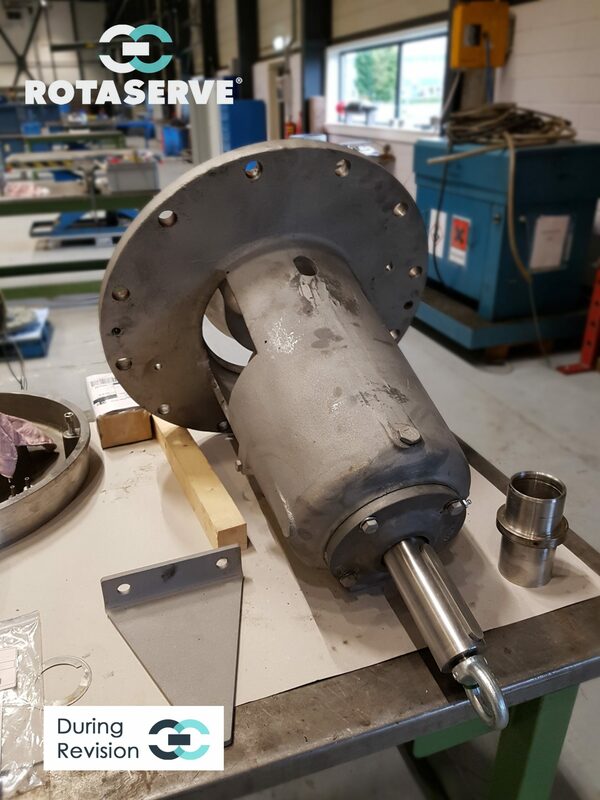 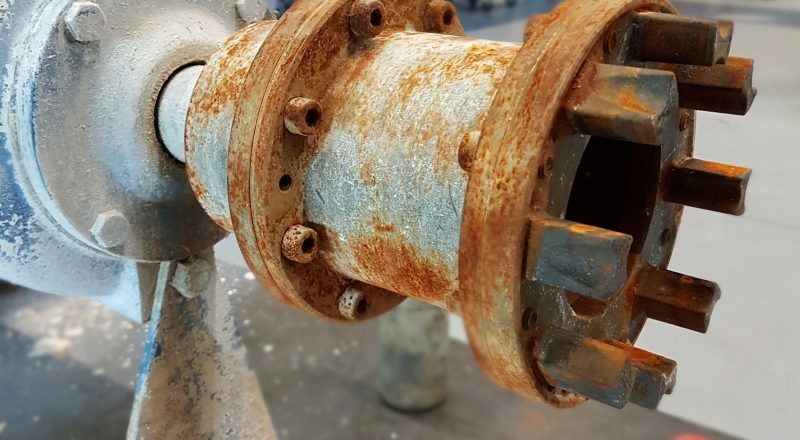 The customer required assistance with problems with the mechanical seals of this pump. 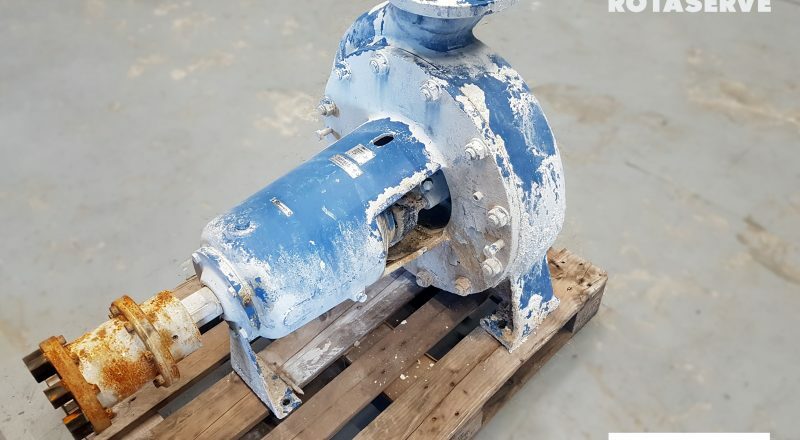 Up till now, the pumps had been running for many years to full satisfaction of the customer. 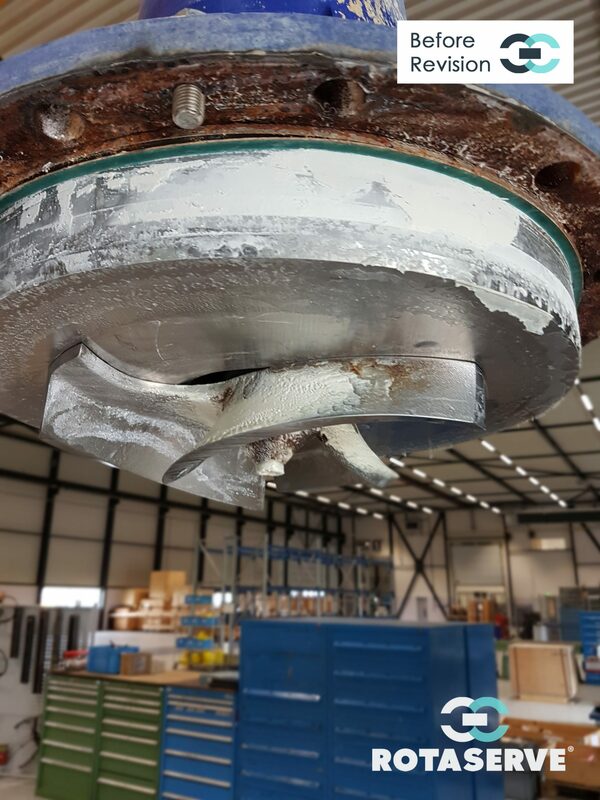 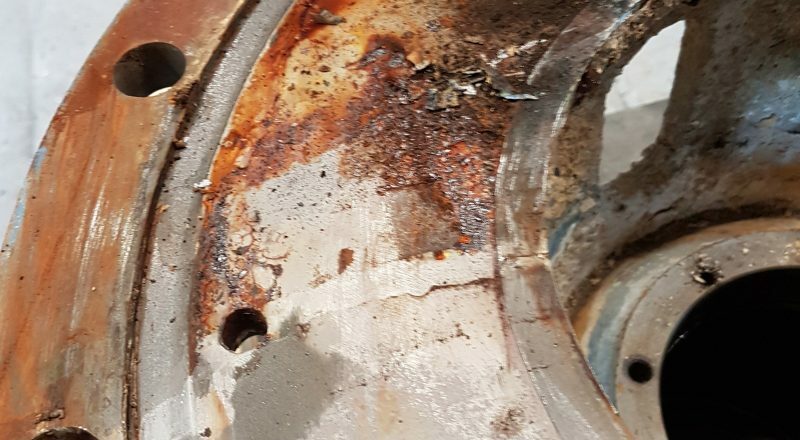 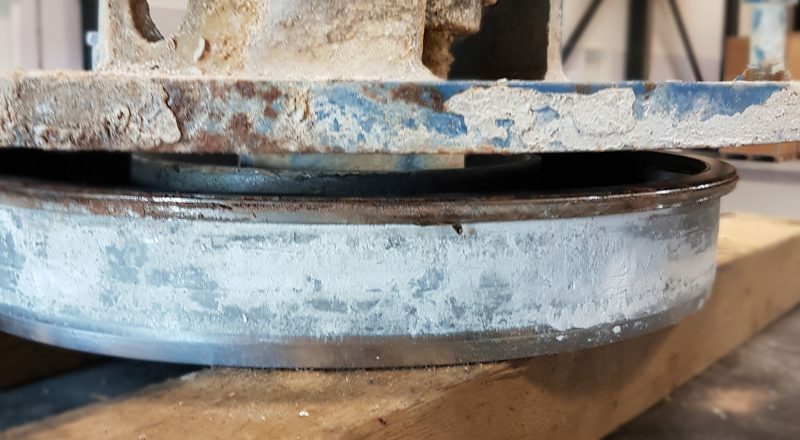 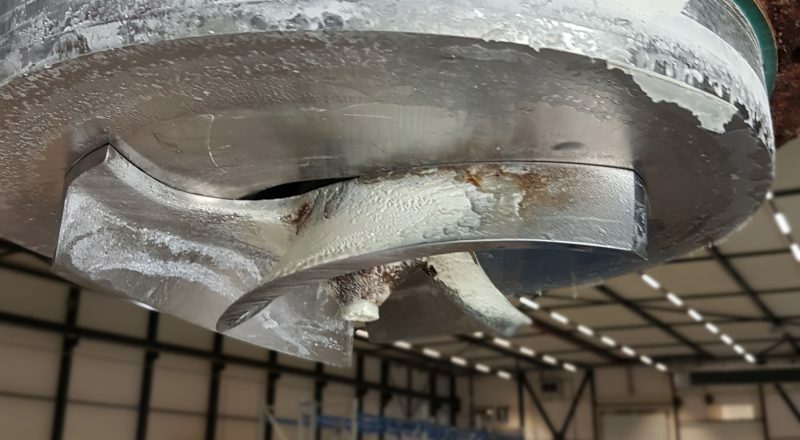 During disassembly and inspection, Rotaserve discovered that the one of the ball bearings was heavily damaged, caused by a leaking seal. 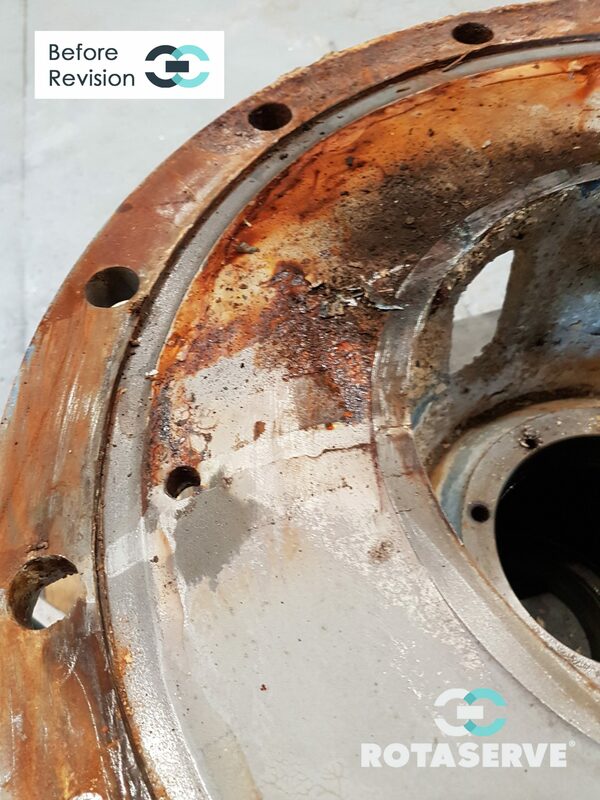 We proposed a solution to prevent the ball bearings for this problem in the future. 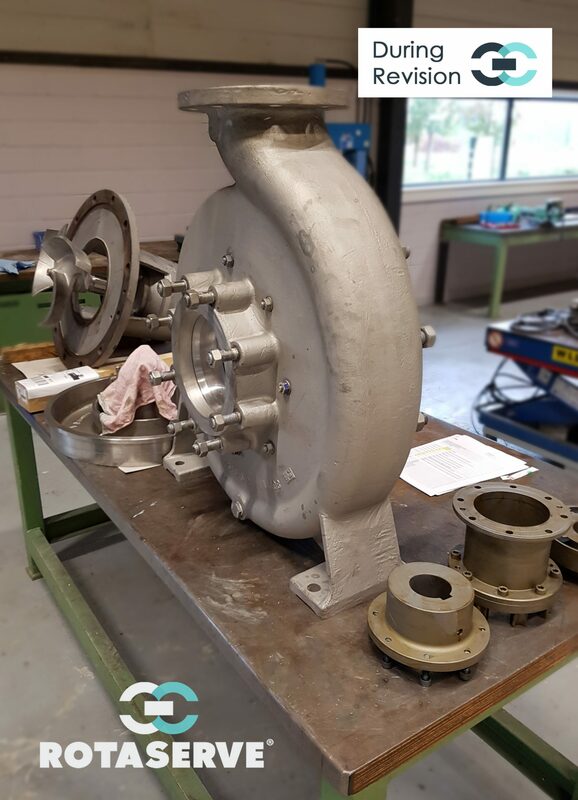 In addition to an inspection and measurement on all pump parts, the parts were compared with our original part drawings. 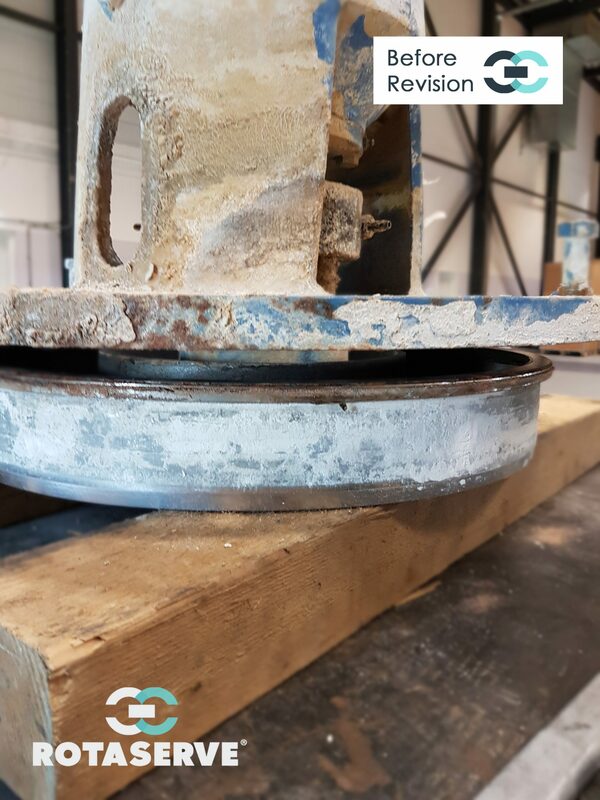 All deviations were noted in our inspection report and have been discussed with our client, together with some recommendations. 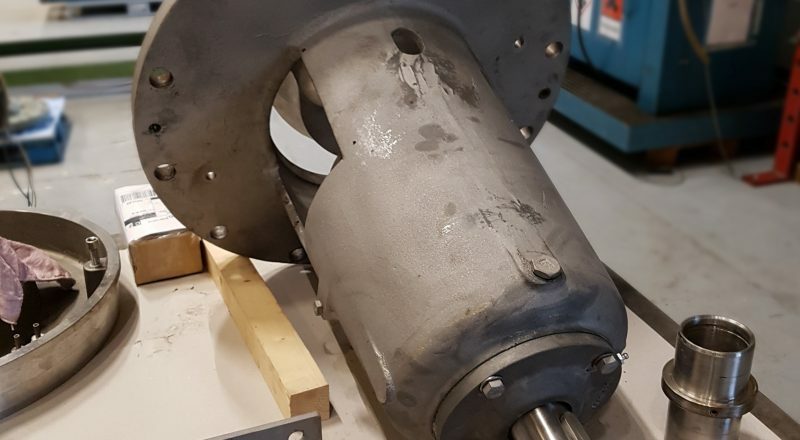 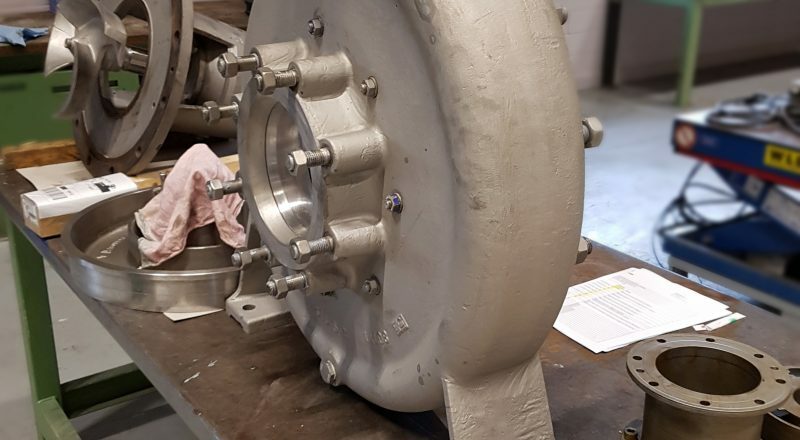 After revision of the existing parts and replacement of the damaged parts, the pump was reassembled and provided with a protective coating. 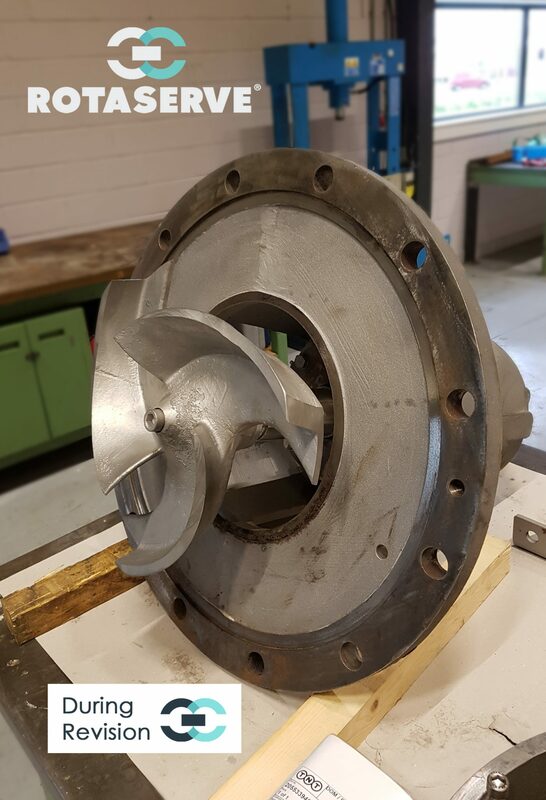 The ES pump has been restored again into a production workhorse for several years of problem-free running. 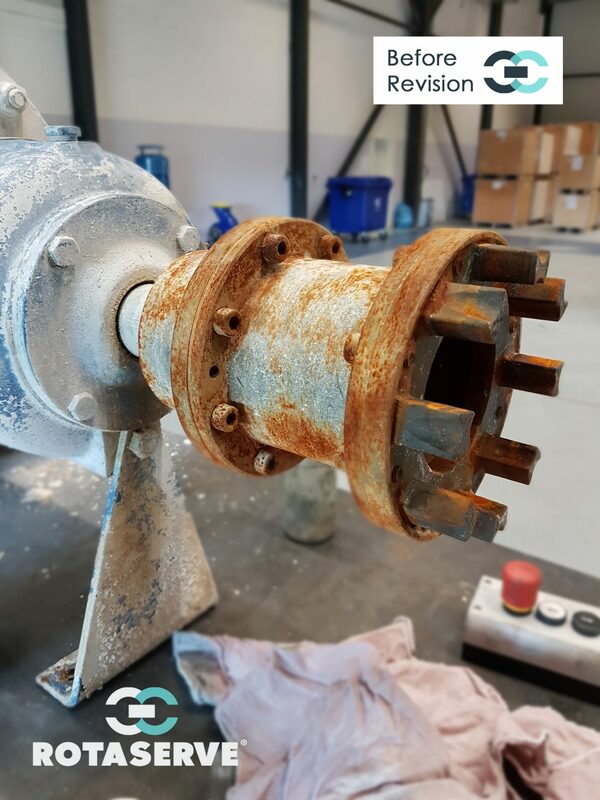 If you would like to know more about maintenance and revision of your pumps, please feel free to contact us on our contact page. 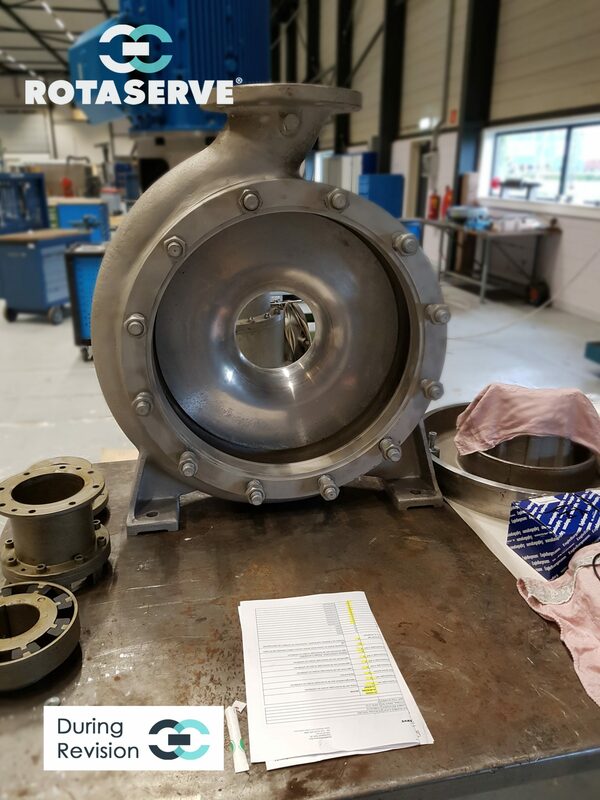 Interested in what Rotaserve can do for you? 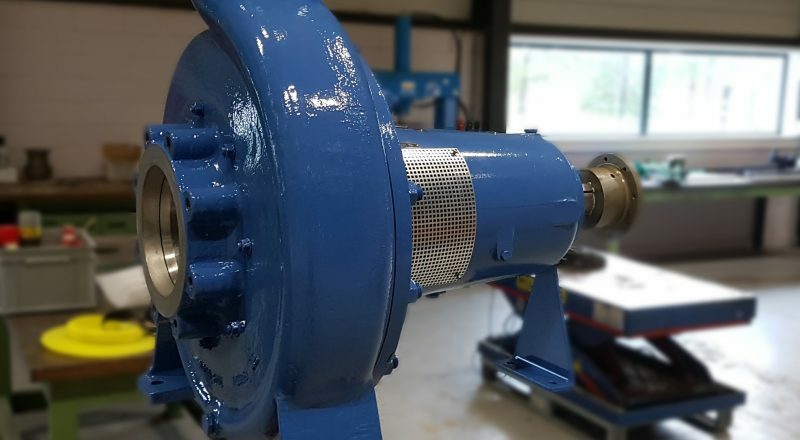 From helping you to find the perfect setup or for maintenance, support or optimization on pumps. 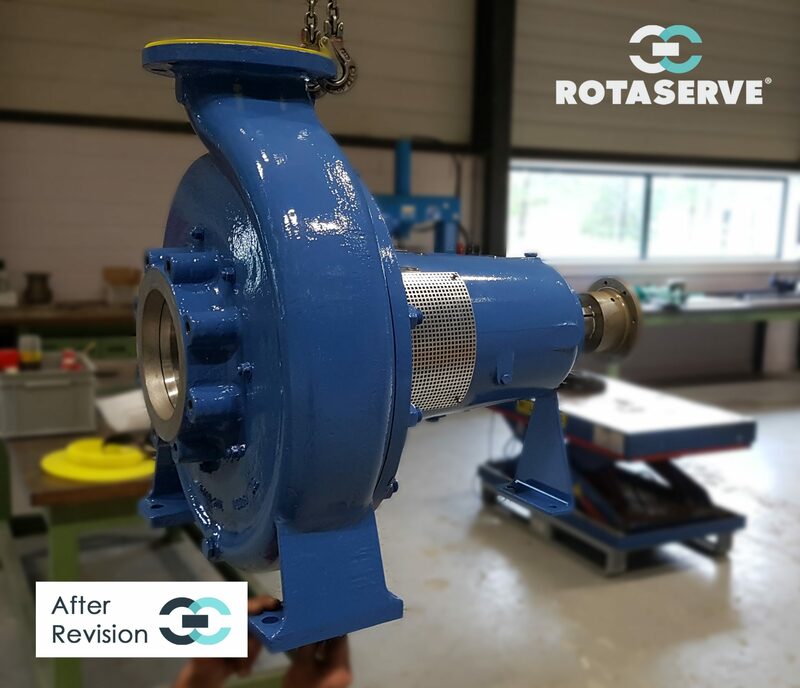 Rotaserve likes to be your partner in rotating pump equipment and -technology.